India is one of the key growing countries in the global large format printer (LFP) market. The growth in advertisement and packaging industries and increasing demand for digital textile printing are the key growth drivers of the market. According to 6Wresearch, India Large Format Printer market is estimated to reach $31.0 million in 2015. In India Large format printer market, Roll to Roll printers have generated majority of the market revenues; however, in the forecast period, higher growth of flatbed printer is expected. In India, large format printers are witnessing significant growth from textile printing segment. With the increasing demand for digital prints in textile industry and need to reduce the turnaround time, market for LFPs is surging in this sector. LFPs in India are primarily imported, but in the coming years large format printer players are expected to establish their manufacturing facilities in the country. Changing government policies to promote electronic manufacturing is further poised to boost the domestic manufacturing. Hewlett Packard has set up their plant to meet the rising demand for large format printers. The key players in India's large format printers market are namely- HP, Canon, Epson and Roland. The report estimates and forecast overall India Large Format Printer market by revenue & volume, by Large format printer types such as Flatbed and Roll to Roll printers, Large format printer market by print width such as 17”-24”, 24”-36” and so on, market by resolution and market by regions such as north India, western India, eastern India, southern India. The report also gives the insights on competitive landscape, market share by companies, price trends, company profiles, market drivers and restraints. India is one of the key growing Large Format Printer markets in the globe. Increasing advertisement spending, increasing large format printer penetration in textile industry and the consumer acceptance are the key factors that are spurring the market for Large Format Printers in India. In the country, the market is primarily driven by Roll to Roll large format printers followed by the Flatbed large format printers due to low pricing of these products. Technological advancements and coming up of new ink types have further driven the market growth. The key players in the market include-Hewlett Packard, Canon, Epson, Mutoh, Roland DG, Allwin, Aprint, Xerox, Crystaljet, and Colorjet. Amongst all applications, technical printing and graphic printing applications have generated majority of the market revenues in India's large format printer market. However, in the forecast period, higher growth of textile printing is exhibited due to growing demand for digital prints in the textile industry in the country. 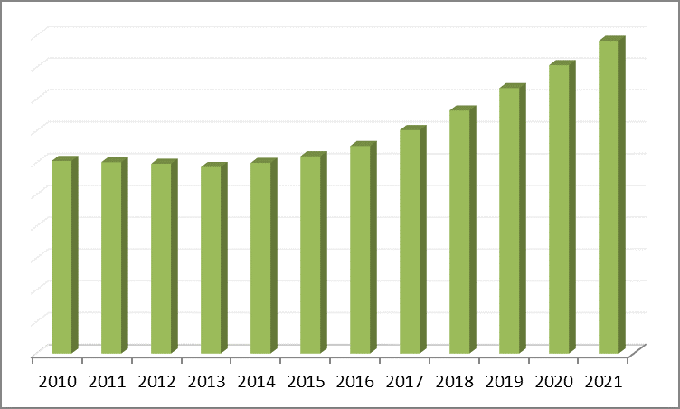 “India Large Format Printer Market (2015–2021)” report estimates and forecast overall India Large format printer market by revenue, by large format printer type such as flatbed and roll to roll, large format printer by resolution, large format printer by print width, by application, and large format printer by regions such as south, north, east, and west. The report also gives the insights on competitive landscape, market share by companies, market trends, company profiles, market drivers and restraints.